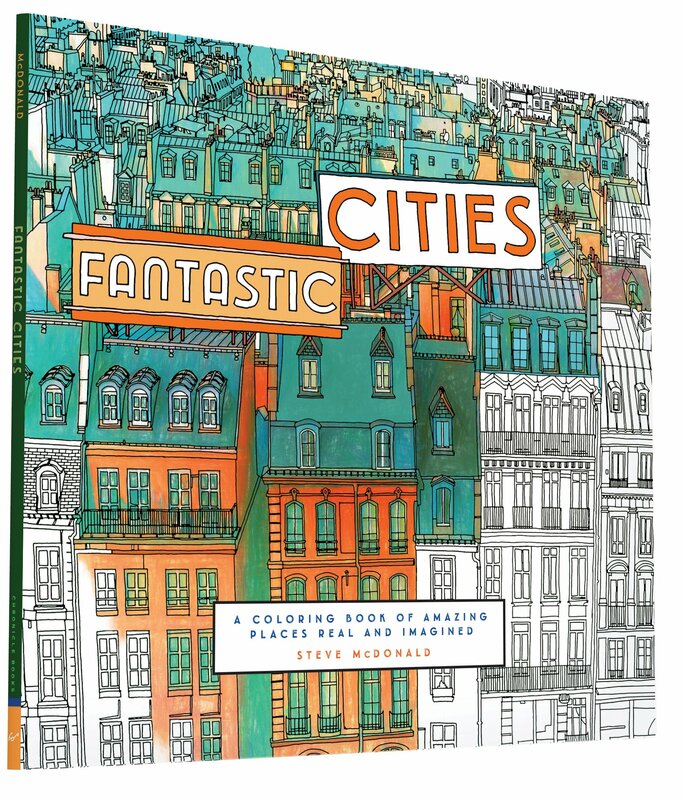 Fantastic Cities features the amazing line art by Steve McDonald of cities around the world. I love the architecture drawings and aerial drawings! I wish I have the time to draw things like these. In this 48-page colouring book, you'll get to see New York, London, Paris, Istanbul, Tokyo, Guadalajara, Rio, Amsterdam and many more cities. There are a total of 60 for you to colour. The book comes out in 7 July 2015 and you can pre-order them from the links below. If you like books like this, also check out New York, Line by Line: From Broadway to the Battery, Liège Carnet De Croquis by Gerald Michel and All Over Coffee by Paul Madonna.